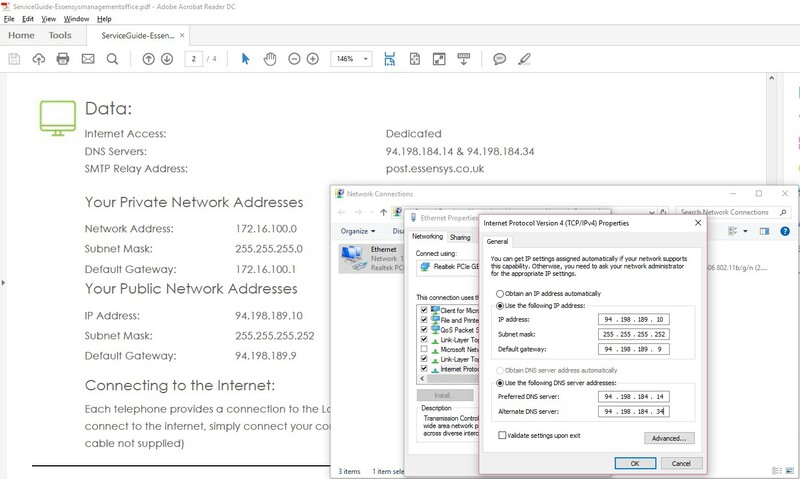 Being able to test a client's public IP address is extremely important, to ensure that the service is working correctly before the client moves in and to determine if an issue reported by the client (slow or lack of internet) is related to the client's equipment. The client's public IP information (found on the 2nd page of the service guide exported from Connect). Click on the Start Menu, and type in Network, and click on Network Connections. 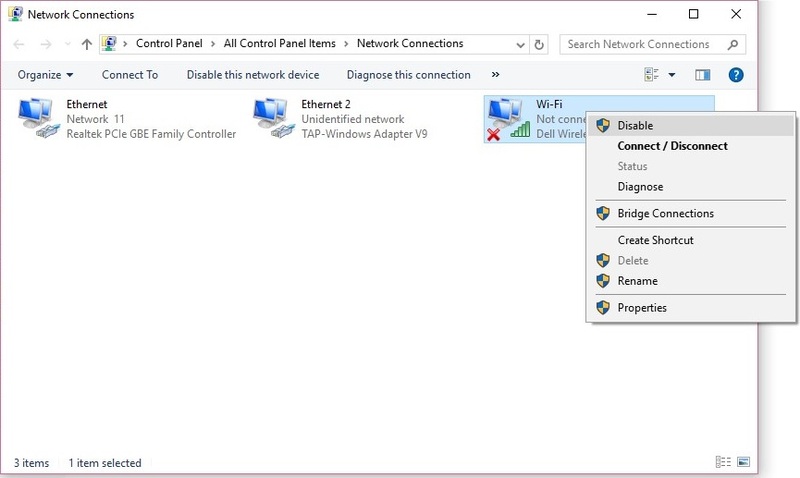 Ensure WIFI is disabled (if enabled by right clicking on WIFI and selecting disable. Right click on Ethernet adaptor, then click Properties. Within Ethernet Properties, scroll down to Ethernet Protocol Version 4, and select Properties. Then in the new window, select the User the following IP address option, and Use the following DNS server addresses. Please enter the client's Public IP, Subnet Mask, Default Gateway and DNS settings into their respective fields. Plug the laptop into the allocated switch port. Open a browser and try to get online. Check their WAN interface network settings (they may need to have their 3rd party IT support do this).